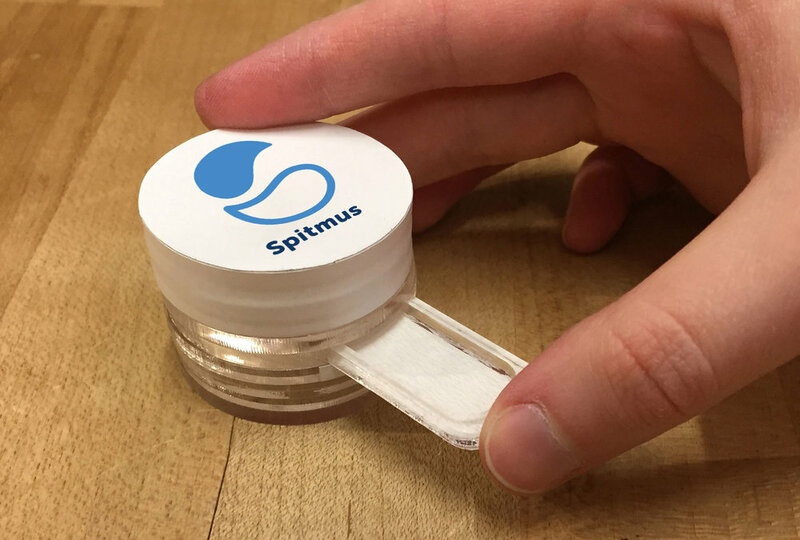 SPITMUS is a personal saliva testing system that uses litmus paper to help mental health inpatients detect cortisol levels during and after being provided hospital-resourced wellness tools. Developed by student Carly Simmons, the product tests saliva four times on a daily basis, and records a wide range of stress throughout the day. By observing the different levels, patients can connect moments of low stress and realize the wellness tools that work best for them. Spitmus uses the current technology of litmus paper to determine levels of stress. Higher levels of cortisol in saliva will turn the litmus paper red, while lower levels will yield a yellow coloration. The device is portable and compact—consisting of four separate saliva vessels, each with a mouthpiece and litmus test paper. 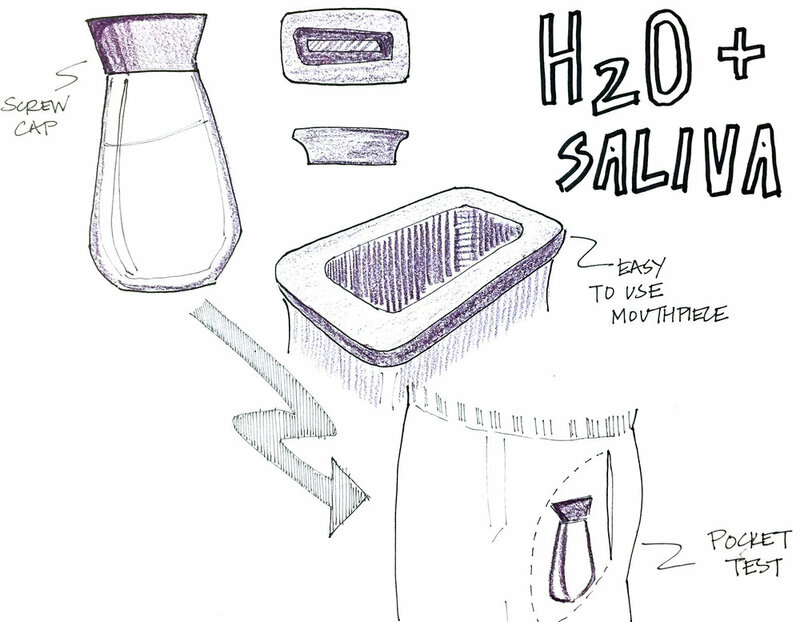 When the user gives a saliva sample, the saliva first makes contact with the litmus paper and activates the color change. Saliva then passes through the litmus paper and into the vessel, in which it can be capped and used for further medical testing. According to Carly, the most unique part about researching this field was the fact that saliva testing is not considered a trusted method for identifying illness, and therefore, there is not much research directly connecting saliva quality to mental health. “Saliva is great for detecting cortisol (stress hormone) and other hormones in the body and gut, so I spoke with some professionals to help connect my own dots to mental health diagnoses,” said Carly. If saliva can display particular hormone levels in the body, it can be used in current research to easily detect mental illness.